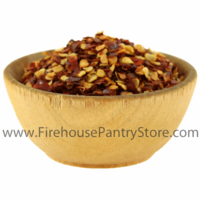 Red pepper flakes are a universal spicy seasoning often used in Italian, Asian, and Mexican dishes. 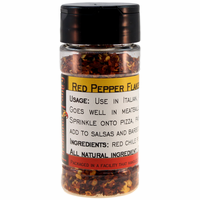 Around here, we sprinkle them onto pizza and pasta dishes and mix them into meatballs, cheese dips, salsa, and sauces. Volume: 1 pound = approx. 6.35 cups. Ingredients: red pepper flakes. Packaged in a facility that also packages wheat, milk, soy, egg, peanuts, and tree nuts. We use these in our Warm Pepper Jack Dip Mix and Sicilian Dipping Oil Mix.